This bok choy recipe was developed by The Healthy Diet Paradise. 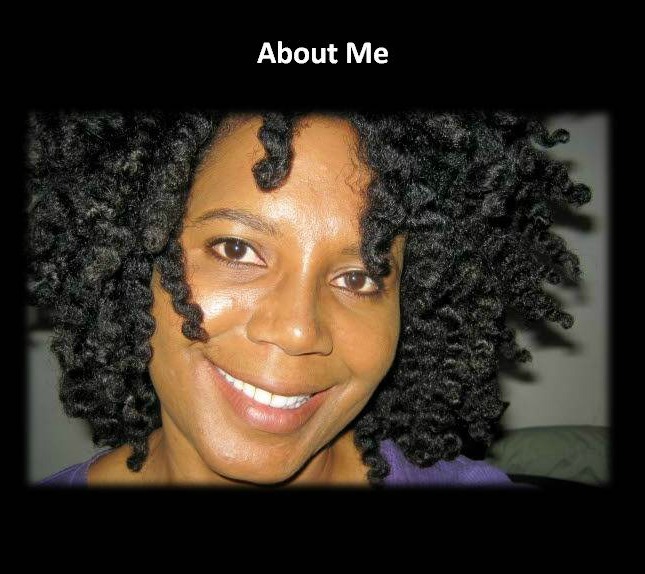 We created it to offer expediency and maximum nutrition. Time is always of the essence, and this recipe super quick and easy. We use both chicken and meatballs in this bok choy recipe. I split this recipe in half. Please use the same cutting and cleaning method used for the chicken for the meatballs. The items and methods of cooking are identical except you're using meatballs instead of chicken. 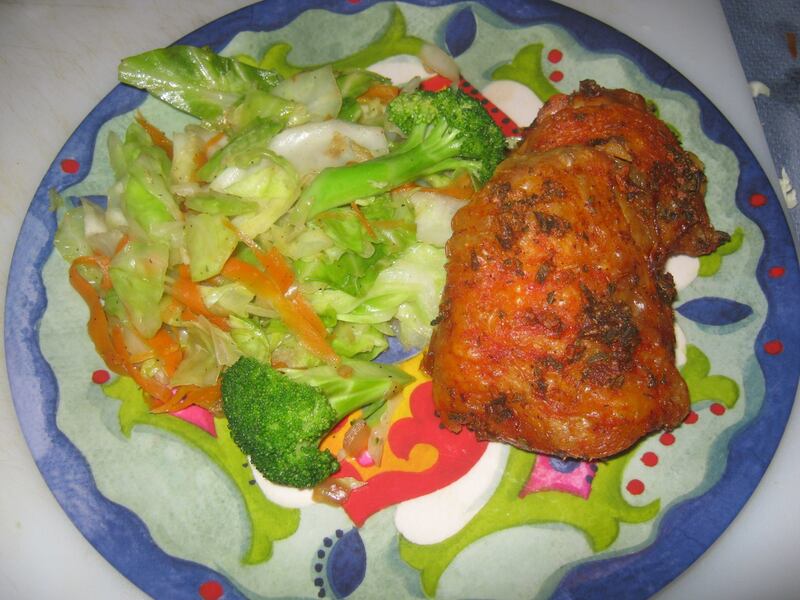 This recipe is a very fast way to incorporate a natural, whole foods diet. 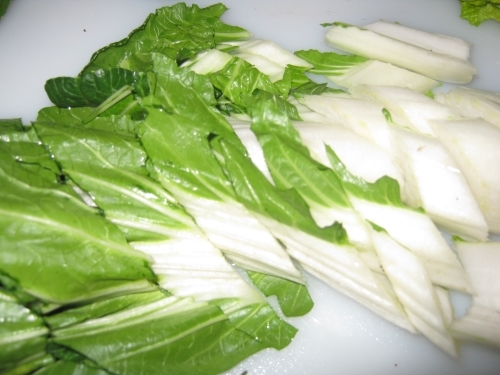 Bok choy is highly recommended for our hair loss diet visitors because it provides thick hair regrowth. Bok choy is an incredibly important super food, and needs to be eaten at least once a week. A large stalk of bok choy can feed a family of five, and will fit easily into your healthy food budget. 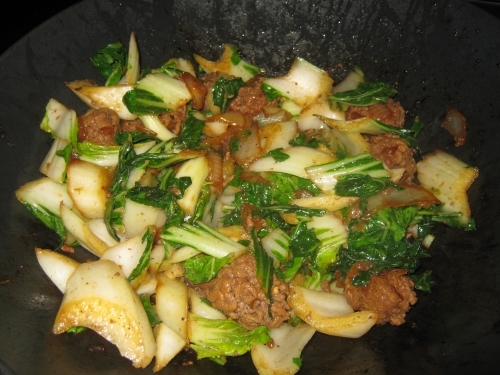 Cooking bok choy takes fifteen minutes, and any leftovers can be reheated and eaten the next day. gluten free. The flavor of Tamari soy sauce is out of this world. It has a rich, bold flavor that will catapult you to the moon. 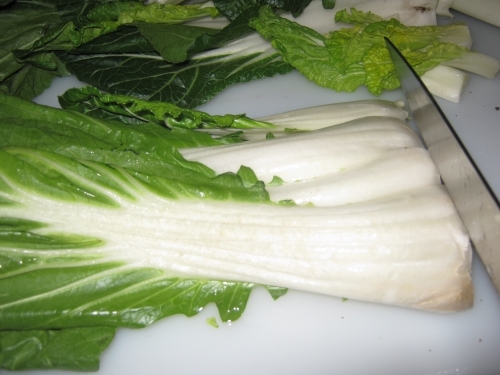 Watch The Joy of Bok of Choy Recipe Video! Two tbs gluten-free Tamari soy sauce. Make sure the surface where the chicken will be placed is covered with oil. You can use a wok or a pan. I highly recommend a wok. Cut up an onion and a large chicken breast. You can add more or less chicken, depending on your preference. 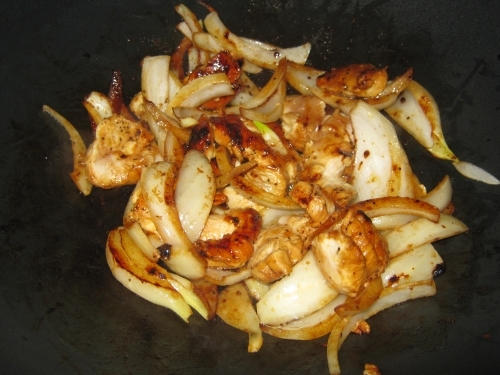 Heat the flame to medium high, then take the chicken and onions and put it into the wok. Pour two tablespoons of Tamari soy sauce over the mixture. This will coat the chicken and give it a golden color. Stir it only after it has cooked for a while. This will give the mixture time to turn golden brown. Make sure you add a little bit of course ground pepper on top. The flavor is incredible! While the chicken and onions are cooking, take your bok choy and snip the ends off with a knife. The edges are very tough and hard and cannot be eaten. Make sure you snip off the tips, because the edges are jagged. You want clean, smooth tips. Next, take your bunch of bok choy and cut it at an angle. Be sure to wash bok choy thoroughly. There are always gnats, flies and other insects that float off into the water. 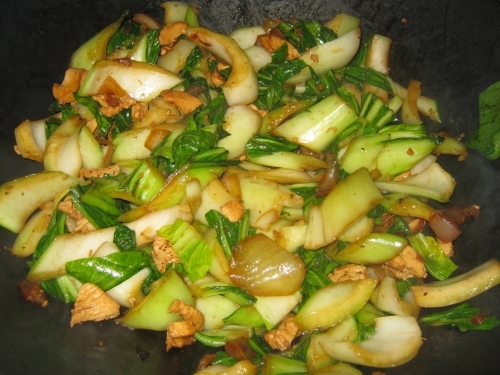 In the picture below, the bok choy is cut up. You can also place the whole stalk into the sink to wash it. 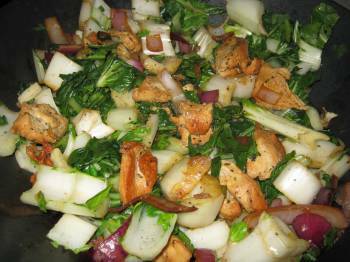 Once the chicken and onions are completely done, add chopped bok choy to the mixture. Cook and stir quickly. It’s important not to over cook the bok choy because it cooks very rapidly. 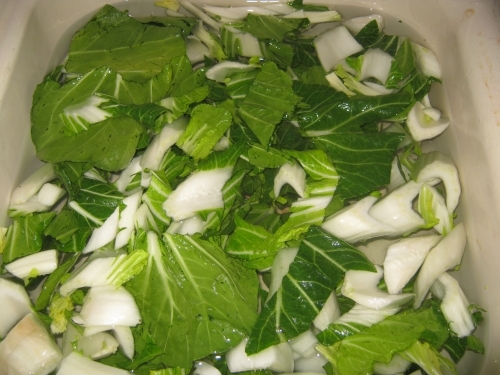 This rapid cooking method is also used to ensure the bok choy retains its critical nutrients. Please Follow directions above for cutting and cleaning. Take a pound of ground beef and roll it into about 12 to 15 medium sized meatballs. 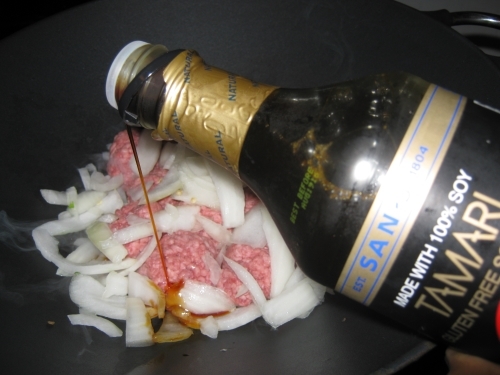 Place meatballs into a wok that is covered with oil. Cut up an onion and place it into the meatballs. 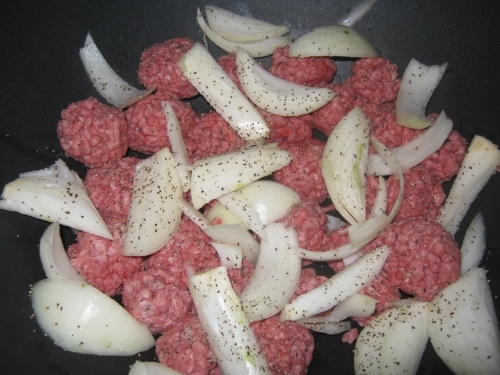 The onions will shrink and add a ton of flavor to the meatballs. Fry meatballs on medium heat for 10 to 15 minutes. Sprinkle with black course ground pepper and add gluten-free Tamari Soy Sauce. Wait until the meatballs are completely cooked on one side before you stir them. That’s so they don’t crumble when you turn them over. Once the meatballs are completely cooked on one side, flip them over and cook them thoroughly on the other side. Once they’re done, continue flipping and rolling the meatballs until they are crispy brown. Take chopped bok choy and throw it into the meatballs. Stir aggressively for about one and a half minutes. The meatballs take between 10 and 12 minutes. Once you add the bok choy, cooking time is extremely short. Total cooking time is approximately 15 minutes. 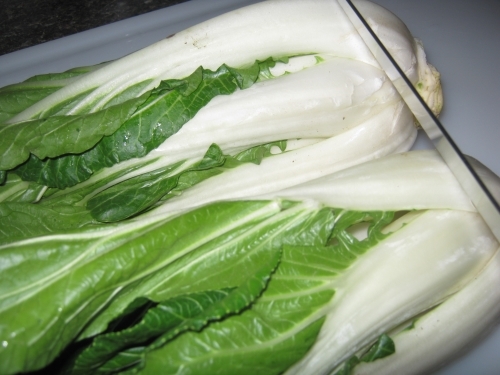 Serve this fantastic bok choy recipe over a bed of hot brown rice or eat plain. Note: For our hair loss diet visitors, please restrict beef consumption to once a week or less. 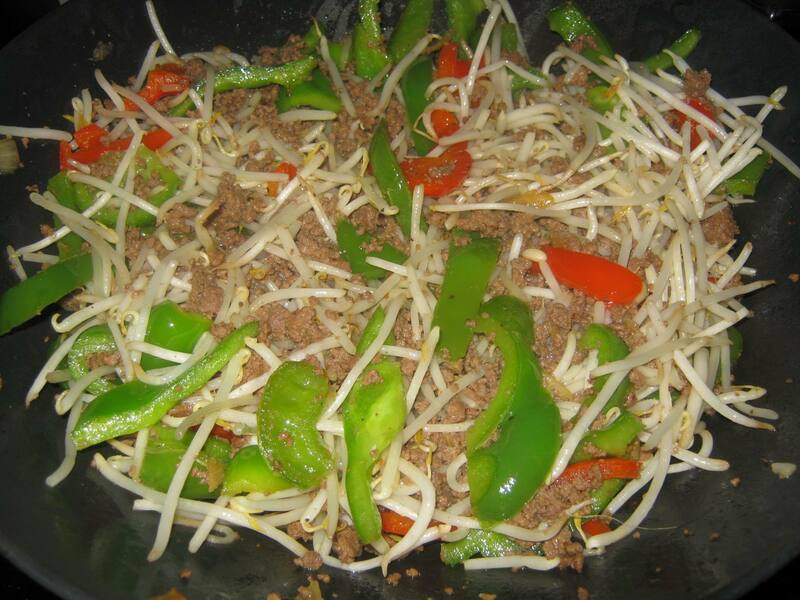 Check out our mung bean sprouts, bell pepper and onions recipe below! Try this delicious mixed vegetable stir fry vegetable recipe below! 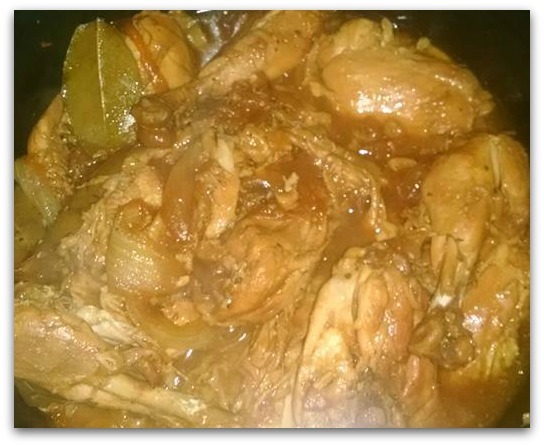 Learn how to create this masterful chicken adobo dish below!